We are excited to announce the launch of Bazillions TV, the official Roku channel of The Bazillions! 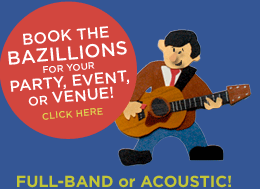 Along with viewing on our web site, now you and your family can enjoy The Bazillions’ great animated videos and live performances on your television (with a “play all” feature for easy viewing!) Delivering quality kids’ entertainment and educational content is what The Bazillions are all about (along with having a lot of fun!) so you can be sure we’ll be adding new videos and songs on a regular basis. And it’s all totally free! To keep our content free, we need your support. 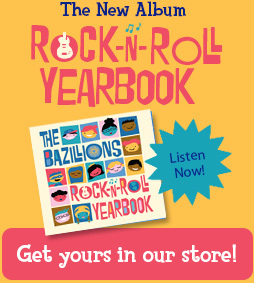 So please visit our online store and pick up some cool Bazillions merch for you or your friends and family. Or come see a show! And if you like what you see, please help us spread the word. And then kick back, relax, turn on Roku, and enjoy Bazillions TV! you can add Bazillions TV through the Channel Store or by clicking here.